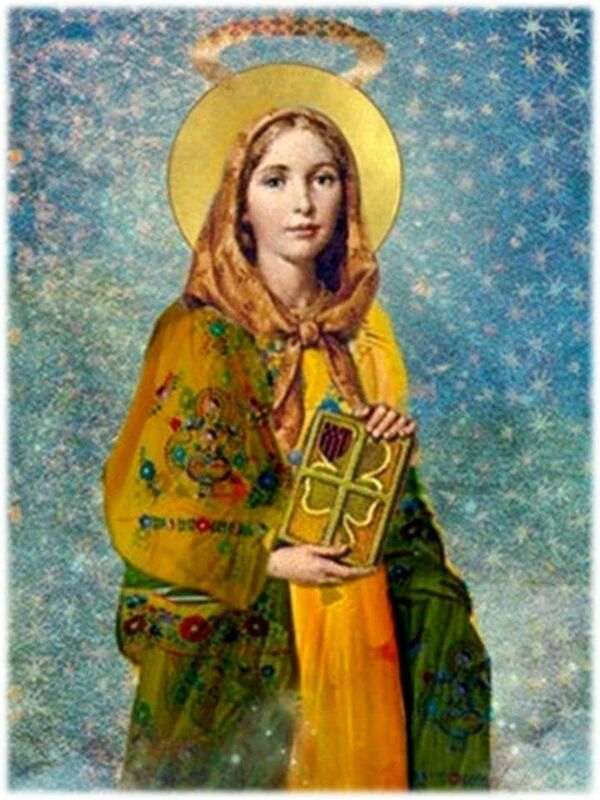 Did You Know St. Dymphna is the Patroness of Mental Disorders? Winter and the time leading up to and following Christmas is a time when many find themselves feeling blue. This may be due to actual mental illness or just the stress this time of year seems to inflict on people. Regardless of whether or not you have a diagnosable mental condition, you still have a patron if you are feeling down. 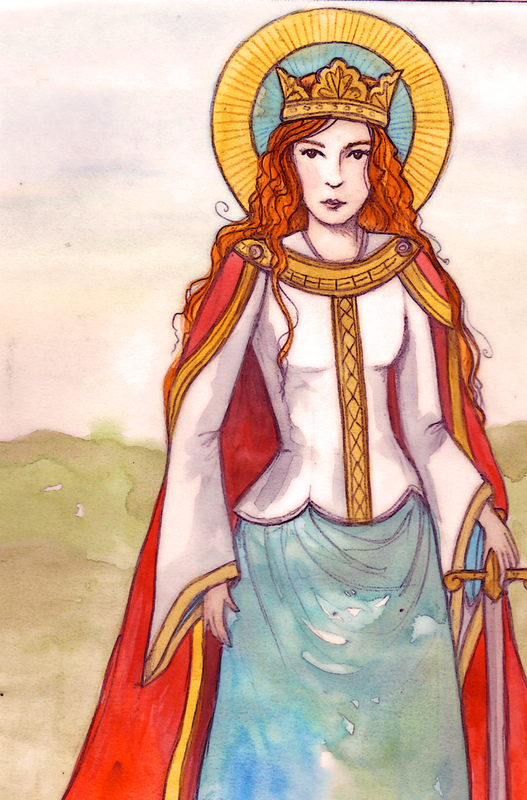 Meet St. Dymphna! Dymphna was born in 7th century Ireland. Her father was a pagan king, and her mother was a Christian. Dymphna was secretly baptized at the age of 14. After the death of her mother, Dymphna’s father fell into a dark mental state. He wanted a replacement for his beautiful wife, and because of her strong resemblance to her mother, he proposed marriage to Dymphna. She refused and fled with her confessor (St. Gerebernus) to Belgium. They settled in the town of Geel where her father eventually found them. When Dymphna refused his marriage proposal again, he beheaded both Dymphna and her confessor. In the 14th century, a church was built in her honor, but it burned down in 1489. A new church honoring St. Dymphna was consecrated in 1532 and still stands today. The site has become a haven for the mentally ill. Many reports of miraculous cures have come from that location, especially between 1604 and 1668. Geel became so popular for mental health care that the church and mental health care facility there was too full, and the residents of Geel began accepting those who came seeking mental health care into their homes, a practice which lives on to this day. The residents treat those who come to their town seeking assistance as guests or borders, not as patients. In short, they treat them as human beings. Please grant, Lord, through the prayers of this pure youthful martyr, relief, and consolation to all suffering such trials, and especially those for whom we pray. (Here mention those for whom you wish to pray).